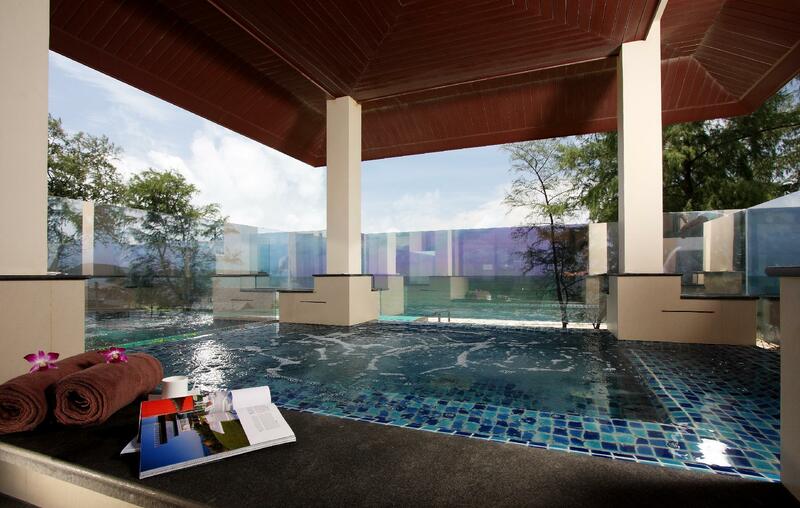 "Great location if you want to be in a quieter area and near..."
Have a question for Movenpick Resort Bangtao Beach Phuket? 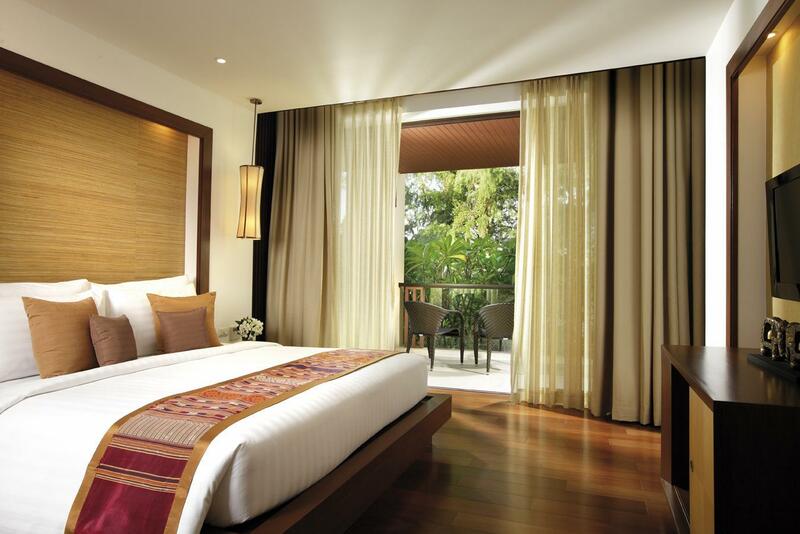 "Lovely resort, high quality, clean and well maintained." "Staff were great and friendly"
"This hotel has kitchen in every room!" "Absolutely fantastic, gorgeous hotel , breakfast to die for..."
Experience five-star luxury on your next holiday at the Movenpick Resort Bangtao Beach Phuket. Rated 5 stars, the resort is perfect for experiencing a truly luxurious vacation. With a kids club, it offers traveling parents a fun-filled and safe childcare resource. 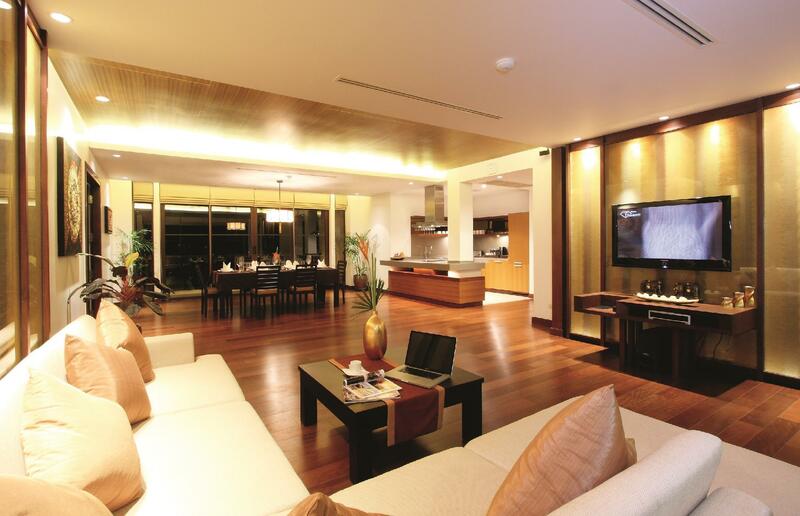 From luggage storage to a babysitting service, it has a range of convenient services to ensure that you get the most out of your time in Phuket. Looking out to the sea and garden, this resort has breathtaking scenery. 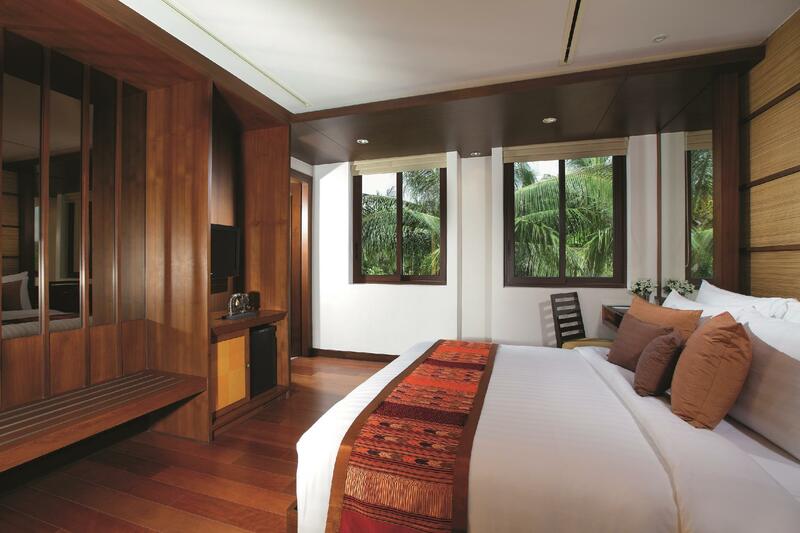 It is near Canal Village Shopping Centre, Bang Tao Beach, Laguna Phuket Golf Club, Banyan Tree Golf Club, and Milan Tailor Ltd.
All of the rooms come with air conditioning, an in-room safe box, slippers, and bathrobes. They also have ironing facilities, linens, a closet, a coffee or tea maker, and other amenities. 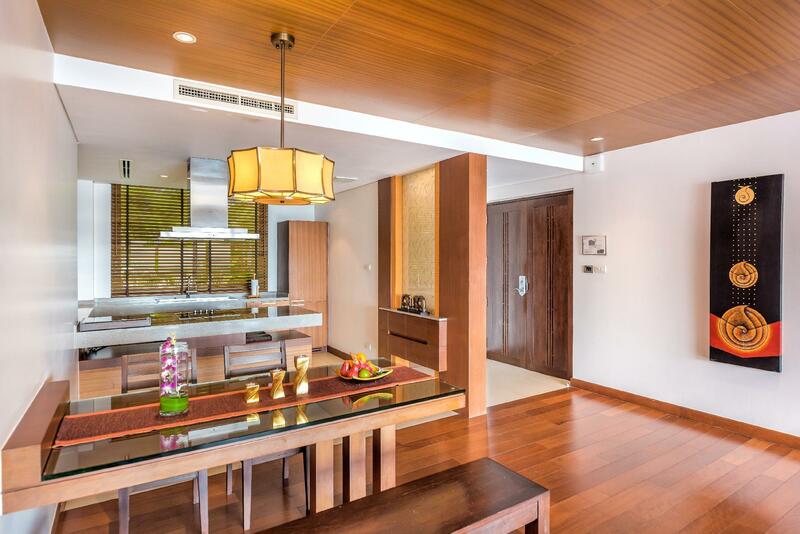 With Thai and Asian restaurants nearby, you can enjoy different tasty cuisines during your stay. Hotel staff speaks English, Filipino, Russian, Bulgarian, French, and more. The Movenpick Resort Bangtao Beach Phuket has a golf course, a mini golf course, an indoor swimming pool, a sauna, and an outdoor swimming pool among other amazing facilities. With safety deposit boxes, a convenience store, a salon, and a currency exchange, the resort offers various convenient features to make your stay more comfortable. There's free Wi-Fi in all rooms, as well as Wi-Fi in common areas, ensuring that guests are always able to contact their loved ones without overspending on international charges. 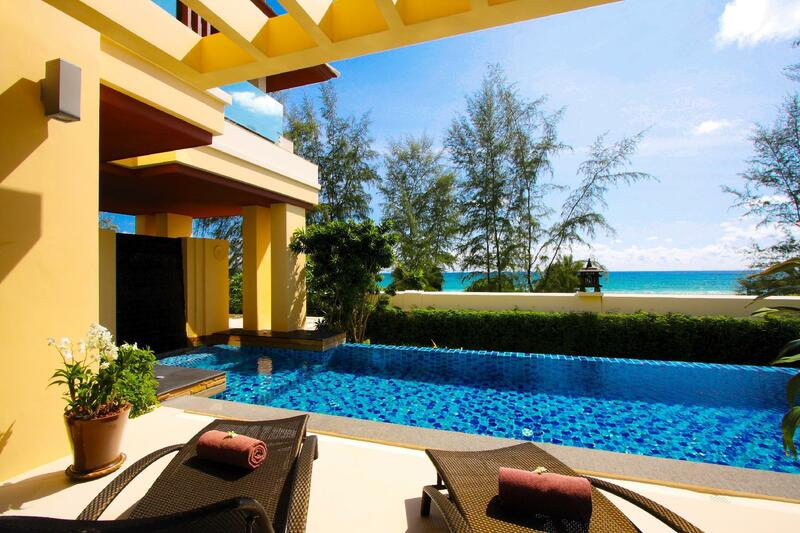 The Movenpick Resort Bangtao Beach Phuket is wheelchair friendly and provides guests with access to an elevator. This resort permits pets, saving you the hassle of finding the perfect pet sitter while you're on vacation. Located at an amazing spot for diving, it is perfect for guests that plan to spend some time exploring all the marine life that this area has to offer. It offers snorkeling, so guests can spend their time exploring all the marine life that this area has to offer. It offers horseback riding, so you can see Bang Thao from the saddle of a horse. 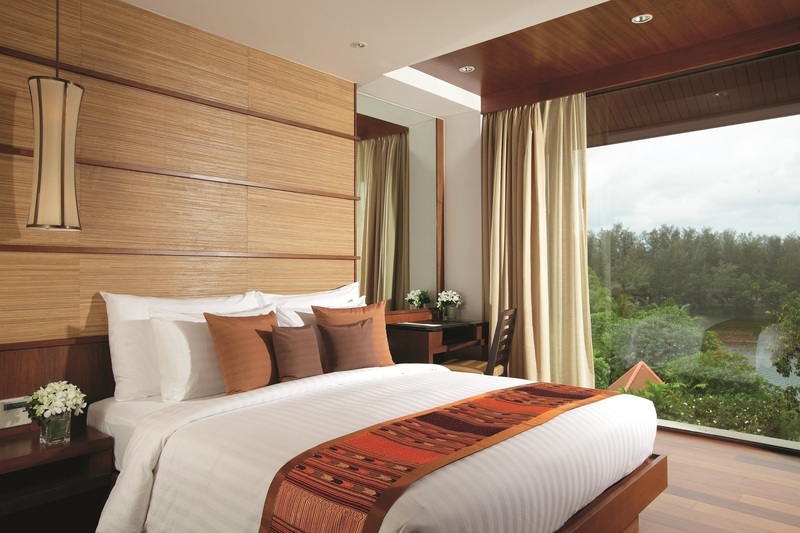 The Movenpick Resort Bangtao Beach Phuket provides express, private, and 24-hour check in and check out, enabling you to conveniently use the service that best suits your needs. It has an around-the-clock front desk, ensuring that there is always someone behind the desk to assist you with any queries at all hours of the day or night. The nearest airports are Phuket International Airport (HKT) and Krabi International Airport (KBV), which are located 11 km and 76.1 km away. "We loved this place, we had a 3 bedroom jacuzzi suite it was..."
Hospitality is superb ,staff are very friendly and helpful, it makes you feel like home. Thats little incident for my last nigt of stay, the fan coil of the ai-con in my room accidently broke down during my stay and it made some bomb sound and started smoking, it terriffied my girlfriend. I belived it is an accident and the staff the handle my check-in which i forgot her name but i really want to thank her again. She respond quickly, the technican arrived my door in 2 minutes and we were vacauted to another guest room. She came to us later, explained the incident and apologies to us with some complimentary fruit plate. The fruit playe is not the point, we didnt have any of it but her worries and sincere were written on her face. I appreciated, she is such a great staff and i trully hope her manager can see this comment and given her some reconigtion. We had our best meal and night ever since we moved to Phuket. The hotel is very quiet and the members of staff are wonderful. I would recommend that you take the opportunity to eat at the restaurant as it is a real treat. Great value for money. We stayed in a 3 bedroom residence for around USD $300 per night including breakfast. The room was enormous and beautifully decorated. Our group included 5 adults and 3 young children. There was plenty of room for everyone to sleep comfortably. Facilities were good and well maintained. The kids especially liked playing in the pool with an assortment of balls and toys provided by the hotel. Drawbacks would be the breakfast buffet was slightly below standard for a hotel of this caliber and there's no shuttle service to the main road like the other hotels in the area. This trip we stay in both Angsana Laguna as well as Movenpick Bangtao. 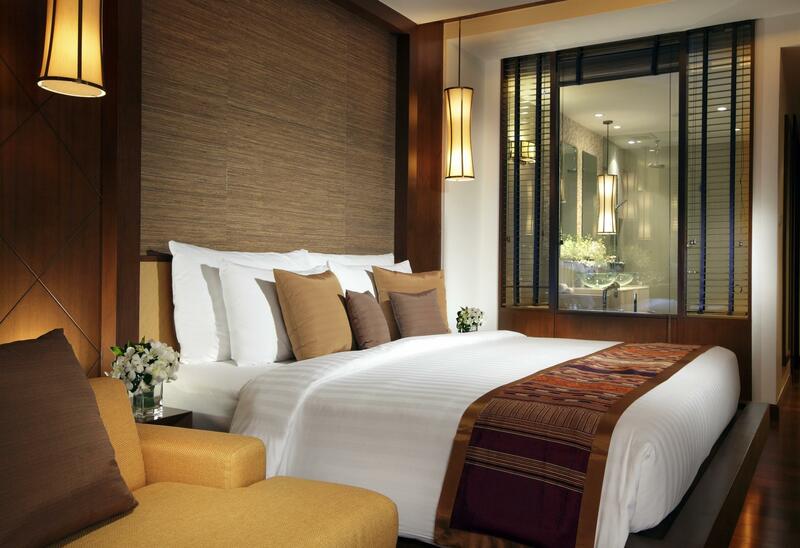 Movenpick is more a boutique hotel while Angsana is huge with more facilities and restaurants. Movenpick's service is much much better. The staffs are efficient, helpful, hard working (the Caucasian working at the Palm cuisine prob fm 7am til 11pm, he told us he loves his job) and energetic. The staffs at the front desk are all great. Guest service/housekeeping excellent too. Thus although there may be flaws in the room, I m happy to tolerate because knowing the staff at the resort will do their best to mend the problem later. Will definitely choose to return to Movenpick Bangtao. This hotel has kitchen in every room! The room are neat and clean. We stayed in a two bed room type which is very nice and roomie. The breakfast are great and varieties. The location are nice and quiet, only 20-30minutes from town in a safe area. The down-side of this hotel is there are too many stairs and no elevator as it is only 2-3 floors hotel. It might be a little harsh for elder to stay here. We were pleasantly surprised by the huge rooms which were well equipped. The staffs were friendly and very helpful. The only draw back would be the small road in between the beach and the resort, though it was not heavy with traffic, but for those who were looking for absolute quietness, it may not be welcoming. Having said that, there is a great restaurant across the street by the beach which more than made up for this minor fault. staff, rooms, Lotus restaurant next door! The hotel itself is lovely - very new, clean and it was not at all crowded. We went at the end of May for a long weekend as a group of 6. The 3 bedroom apartment was absolutely huge! It was very high spec and really felt like we were in a villa. The staff at the hotel were absolutely superb - very attentive and incredibly friendly. Overall, we really loved the hotel. The beach is a very short walk (50m) from the hotel back entrance, where you have to cross a quiet road. The beach area was very small and the sea is quite murky and the waves were ferocious – I wouldn’t let young children in the sea by themselves. The spa in the hotel was great – especially when they presented us with a buy one get one free massage voucher. However, I would have been very bored had I stayed much longer than 3 days / 2 nights. It’s fine if you like lazing by the pool or by the beach but I personally like to do something during the day. The hotel beach restaurant (there are two) was only ok, whereas the Lotus restaurant and bar next door was simply fantastic. They have a very modern, chic bar and the food in the restaurant was amongst the best I’ve ever had – a dozen fish tanks with lobster, prawns and several varieties of fish. Walking down the beach was also pretty underwhelming – the rival restaurants were shabby but we ate quite well at the first one after Lotus (turn left as you face the sea). There is a taxi rank right outside should you want to get out of the resort and they are much cheaper than the hotel taxi (800 Bhat vs. 2,200 to the airport), which is about 25mins drive away. Overall, we enjoyed our time at the hotel but I couldn’t imagine spending a week or longer there, as I would have gone stir crazy. The hotel can lay on excursions, but they are all at least 30 mins – 1 hour drive away. So in short, a really lovely hotel but if you are after a more authentic Thai experience, I would consider going to a different resort – Phuket just felt like a poor man’s Krabi. 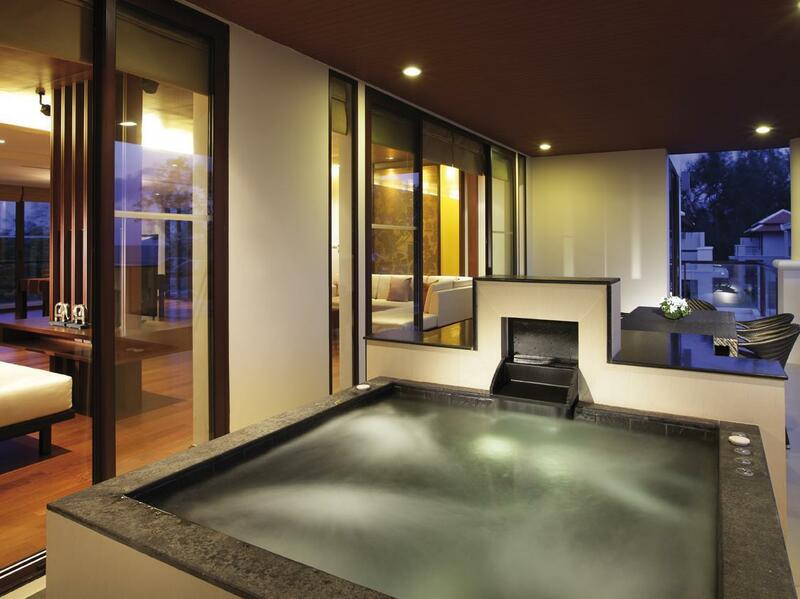 We had a 2 bedroom private pool villa and it was absolutely lovely. The pool was larger than your normal private pool and the 2 bedroom villa was huge. Our 1 yr old daughter had a ball running around the place as it was so big. We stayed at the 1bedroom private pool villa at the new Centara Grand Beach resort before coming here and even though we payed more for the villa at Centara, we enjoyed the pool and villa at Movenpick more. The 2 bedroom unit was huge, enough space for the two of us and our 4 year old to run around all day! Very private, away from it all, it was after peak season thus pool, kids playroom, lobby, restaurant were quiet when we were there getting all the attention we ever needed. Will definitely go back! This Resort is the small Resort, it only have the small swimming pool , other than that it nothing to do, no activity at all, beach is just close by but can’t swim. It only have one restaurant, and no things to do, the spa close at 9 pm and very very expensive. I will not come back again. The resort is fantastic with very nice rooms, very nice staff and buffet is acceptable for the level of hotel. The only downside is the location. The place is located beside the Bangtao beach, in the corner of Laguna which is an area dotted with numerous resorts and hotels so travelling to and fro the hotel from the airport or Patong beach will cost a bit. Around the area, there are not much commercial areas and the nearest location would be outside of Laguna using their shuttle bus( twice a day only). The staff and accommodation were excellent. However the beach and beach facilities were disappointing/non-existent, the pool was not good for young children or adults who had limited confidence in the water, having only one restaurant was very limiting (there was only one other restaurant within walking distance of the hotel), the shuttle bus operated very infrequently. Great location which is so close to the beach. Dinning service: Thai food is so so but Western menu is great although breakfast is a bit disappointed. The room is very big and comfortable! Great friendly and helpful staff. Was a great stay. Perfect for families. Think they substituted chlorine with another disinfectant in pool which made opening eyes under water a bit harder but I'm not sure if it was the chemical makeup. The 3 bedroom panorama view room is perfect for weather of all conditions even in a thunderstorm which made the experience even better as we felt sheltered in the balcony pool under a roof. Would definitely go back with family. Lovely resort, high quality, clean and well maintained. Staff were great and friendly.The nearby beach is clean and peaceful - no facilities on the beach but this was fine as so close to the hotel anyway. The resort is rather far from restaurants etc, making it more suitable for a real escape. I would definitely return! The stay at movenpick was very comfortable and relaxed. we had a warm welcome by the staff, and the aircon and sound system was already turned on when we arrived in the room. Downside is only that the jacuzzi was a little dirty. Overall, I loved the stay at the resort very much. The hotel is located at a quiet beach with privacy, far away from noise. I booked sea view one bedroom suite with private pool and I felt really relaxed during my stay. The room is huge and cozy. My kid loves the private pool very much. The sunset at beach is absolutely beautiful. Hotel staff is very helpful and friendly, they even sent me a birthday cake after my dinner as a surprise, much appreciated! Private location, away from the hustle and bustle but not too far that you can go there if you want to go crazy. Got a villa upgrade and it was amazing. Service is great, staff very friendly. We all had a great time! One of the best staff's I've ever encountered in Thailand. Just lovely. Everything was really wonderful, but the overall look of the place is becoming a little bit dated. The morning breakfast, while good, is not great. Our room was amazing. But again, the real joy here is the fantastic service of the amazing staff!